Ohio's premiere Christian metalcore band on the road! Why See The Devil Wears Prada? Not to be confused with the Meryl Streep and Anne Hathaway movie of the same name, metalcore collective TDWP have come a long way since cutting school in 2005 to go on the road to tour. 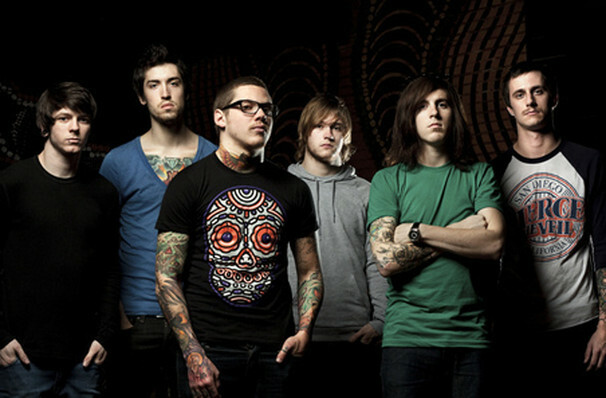 Their 2018 tour celebrates 10 years of their May 2009 release With Roots Above and Branches Below and sees them supported by Fit for A King and '68. Seen The Devil Wears Prada? Loved it? Hated it? Sound good to you? 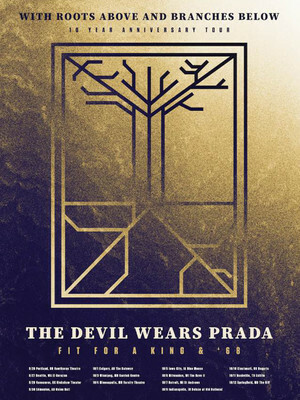 Share this page on social media and let your friends know about The Devil Wears Prada at Gramercy Theatre. Please note: The term Gramercy Theatre and/or The Devil Wears Prada as well as all associated graphics, logos, and/or other trademarks, tradenames or copyrights are the property of the Gramercy Theatre and/or The Devil Wears Prada and are used herein for factual descriptive purposes only. We are in no way associated with or authorized by the Gramercy Theatre and/or The Devil Wears Prada and neither that entity nor any of its affiliates have licensed or endorsed us to sell tickets, goods and or services in conjunction with their events.